Burglar carrying a crowbar makes his way up a wooden staircase, tries the door and finds it unlocked. Opens the door and makes his way inside. Jib move following up the stairs. 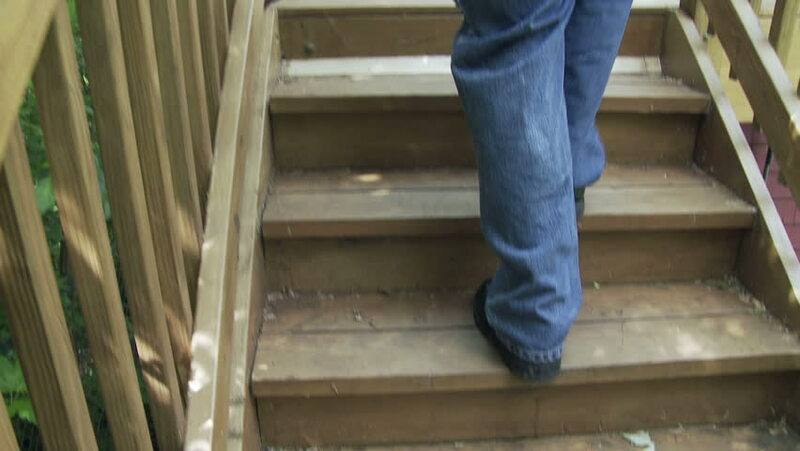 hd00:15Man's legs and feet, blue jeans, black shoes, walk up a wooden staircase. Jib shot. hd00:05A man stands on a street in the city. Hands in his pockets. Standing on the steps.